One of my favorite things about living in Milly is all the different restaurants there are to try and if you’re like me, you’ll want to order everything on the menu. One of my favorite indulgences is a yummy basket of wings; they are a food group and I don’t know anyone who disagrees. The many downtown restaurants and other local restaurants in Milledgeville all have great menus, but typically, my eyes go straight to the types of chicken wings they serve. We’ve put together a list of some of the best wings Milly has to offer, so grab a napkin and go eat ALL the wings. 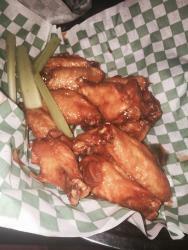 The Brick downtown is known for their brick oven pizza, but have you ever tried a basket of their wings? If you’re looking for a meal with a little kick, try their delicious and classic hot wings. When you get them you can practically see the heat when you see the red pepper flakes they’re covered in. If you’re not afraid of some spice, these are a downtown Milly must. And to cool off your mouth, just ask what beer they have on tap and kick back with a cold one. I love wings with some serious spice, but if you want something more mild and even a little sweet, Velvet Elvis’s honey hot wings are exactly what you want. They are glazed with Velvet’s special wing sauce that gives just the right amount of sweet and spicy. For an added bonus, get a basket of their curly fries because you deserve it. Aj’s is a Milledgeville treasure. I can’t tell you how many times my friends and I have ordered more wings than we could eat from here. If you’re having people over, order a big platter with all the different flavors of wing sauce. 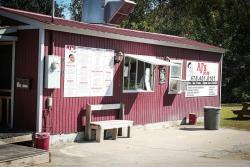 Or if you just want a quick dinner, grab them to go at one of their two locations. 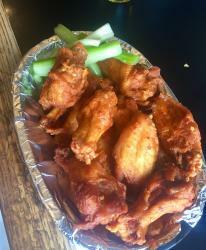 Their wings are cooked to perfection and are dripping with their mouthwatering wing sauce. My personal favorite is the garlic parmesan or their classic hot wings. 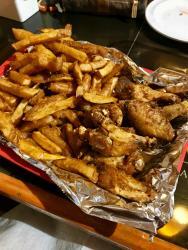 If you want wings that aren’t spicy and have a unique flavor, Pickle Barrel has the most delicious and crispy teriyaki wings. If you really want to indulge, grab a side of their famous potato skins and enjoy while you watch the game on one of their tv’s. Head over on a Wednesday for wing night! 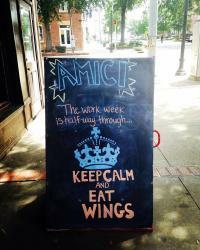 Amici&apos;s boneless Sweet Chili wings are one of my all time favorite meals in Milly. The mixture of sweet and spicy is perfect! 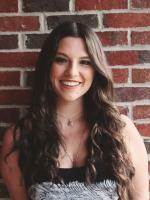 Amici is the best sidewalk cafe to go to in Downtown Milly and don&apos;t miss when they have local bands in to accompany your dining experience.